Well, what can I say? 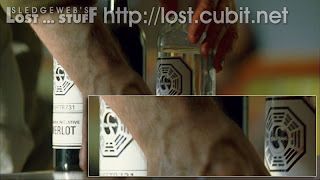 As promised, LOST delivered last night! And all I can say is my usual WOW! We learned more about the history of the island's former residents, still with enough ambiguous details to confuse us, yet keep us intrigued! I don't have an exciting speech to give this week as I usually do, so let's just get right to the episode recap! Sawyer has been on a fantastic roll with nicknames and 1-liners. Highlight being Crouching Tiger and Hidden Dragon for Jin and Sun. Grimace for Hurley and Zorro for Paulo equally fantastic! But I believe we all let out a loud laugh when, in the middle of Sawyer's Rant, he spat out at Nikki "Who the Hell are you???" We've all been saying it. We all are displeased with how they were simply inserted as survivors that have been there the whole time. But we're told by the producers that a flashback episode is coming up with Nikki and Paulo that will change our opinions on them forever and make them iconic figures in LOST lore. We'll see. So I guess we're supposed to be asking more about this supposed HATCH IMPLOSION. With the Hatch Imploded then why are things flying all over the place? We've seen Eko's stick fall from the sky, The hatch door flew all the way to the beach (season 2 finale), Sawyer stepped on a random dart (thanks for anonymous comment last week! ), and now the ping pong table is just out in the jungle somewhere. Clearly, Hurley is scared to even discuss how all of this stuff happened and just assumes that it has something to do with the sky turning purple. Clearly, there is more to discover here with the HATCH and the PURPLE Sky. Sawyer did indeed lose the ping pong match to apparent PING PONG champion Hurley (who became a pro in the Institution) and now cannot use nicknames for a week. Good times! Thank God they added the "for a week" part or else LOST fans would've been jumping ship left and right! And finally, we must note that Sawyer is definitely struggling with his feelings for Kate. He is worried about her as she ventures to rescue Jack. Well obviously the CAT. We see it both here and off the island. A cat that was tortured by kids who seems to flinch at any attempt to pet it. Symbolizing the torturee woman's inability to trust anyone but willingness to forgive. The cat being on the island joins the cast of other animals that have graced our survivors. The BLACK HORSE for Kate, the Boar for Sawyer, and we always like to jokingly throw in the WHITE RABBIT for Jack (episode title, but he saw visions of his Dad). Of course, Sawyer ironically DID come in contact with a White Rabbit this season on Alcatraz 2.0. Anyway, the cat on the island's name was Nadia and seems to be Russian Baddie's pet. And of course we know that Sayid's girl's name (whom he rescued from torture) is also Nadia. Not much to add here except that the CAT reminded Sayid to go easy on his captive for now. Why the cat was there, the horse was there, and all other crazy apparitions on the island, remains unresolved and probably will until the end of the show! This I find incredibly uninteresting, but apparently in Sayid's restaurant (yep he's under an alias in some non-Iraq country hiding as a cook) there are Dharma type symbols on the wall. 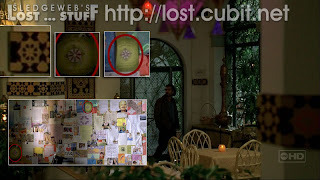 Apparently these same symbols were on the HEALER Isaac's wall in Bernard and Rose's flashback last season. If you know what the terms DHARMA Wheel and DHARMAcakra mean, then more power to you! But that's what these are! 2nd episode without even seeing Jack. I guess we can assume these episodes were filmed in December when Matthew Fox was heavily promoting WE ARE MARSHALL. There were rumors that Jack was killed off and that's how he was able to be on the mainland showing up on every talk show known to man. Well, when you don't appear in 2 consecutive episodes, that frees up probably 2 or 3 weeks of your life! Anyway...Sayid, Locke, Kate, and Rousseau are following a Northward Bearing of 305 (just like the stick said). When all hope is almost lost that they are headed in the right direction, they stumble upon another HATCH in the middle of the jungle. And the fun ensues from there! We meet Russian Eyepatch Guy, Sayid gets shot, Locke plays Chess and we get our fix on some DHARMA Goodness! 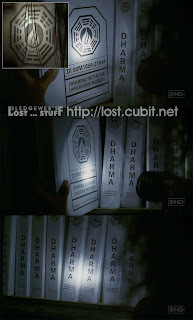 Mikhail Bakunin and said he is the last living member of the DHARMA Initiative. We later learn that this is a lie. But that everything else he stated is the truth. I'm gonna guess that this was the producers'/writers' way of telling us that they didn't cheat us out of useful information. But still, it's foggy where the lies end and the truth starts. We can try to decipher anyway. 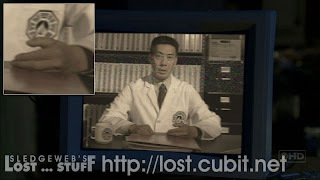 Apparently the HOSTILES (which for now we have to assume are THE OTHERS) have been there longer than the DHARMA Initiative. Which seems to hold true since Ben said he's lived there all of his life. But Mikhail also says he's been there 11 years, meanwhile we know Rousseau has been on the island for 16 years, and she clearly wanted no part of this assault on the FLAME station. Could Rousseau's crew have been involved with the PURGE? I guess we need to talk about the FLAME and the PURGE since I'm mentioning them! Well, this station is the infamous FLAME station that we've known about ever since the LOCKDOWN episode where Locke saw our favorite blacklight map. This seems to be what may have been DHARMA HEADQUARTERS. As they explored the station, we saw lots and lots of C4 Explosives, another computer with a friendly chess game, a big satellite dish with mainland communication abilities, DHARMA SWAN Merlot, DHARMA Vodka, and lots and lots and lots of DHARMA Manuals including Food Drop Protocols (still being done currently on island as we saw in Lockdown episode) and an Operations Manual, ransacked by Sayid. We also got a peek at some Russian writing from Mikhail. And I'm sure there are lots of goodies in here. If anyone out there is fluent in Russian and wants to translate, please do and let us know! Otherwise, once I find out, I will post it. So the PURGE. Apparently prior to the Oceanic Survivors arriving there was a great PURGE where the DHARMA crew was offed by the HOSTILES. There must be more information that we will learn about this PURGE. And I gotta tell you, I'm super excited about seeing it! Will it be a Ben flashback? Or an entire episode of PRE-CRASH events? If this is the season that will unveil the OTHERS....then there's a good bet that we're going to find out before MAY ends! It's hard to decipher Mikhail's military history in the Soviet Army stationed in Kiev. He says after the Cold War ended he responded to a secret Advertisement "Would you Like to save the world?" Which kinda calls back to Kelvin (another military guy who had nothing to do after the Gulf War) who also says he was saving the world by pressing that button. Maybe Mikhail was giving us information on how DHARMA recruited their personnel. But the ties between The OTHERS and DHARMA remains unclear. Perhaps the military began using the island without knowledge of THE OTHERS, hence calling them HOSTILES. But in the end THE OTHERS won out. Which means our castaways could be in danger of a PURGE as well. Then again, THE OTHERS keep suggesting that they are not the enemy. So there is still some higher power at work here that we have yet to see. AND WHO IS JACOB!!!!?!?!?!?!?? arrrrghhhh! I LOVE THIS SHOW! Confirmation of ties to the OTHERS for Mikhail was the presence of Miss Klugh who apparently ALSO speaks Russian. It IS possible that this is where WALT was for most of his time with the others, as there was a computer (perhaps station UPLINK is to communicate with other stations). Anyways....Miss Klugh and Mikhail and Sayid/Locke/Kate end up being in a Hostage exchange situation which leads to the death of Klugh. There was a lot of information exchanged in Russian. Again, any fluent Russian speaking people out there please translate! Last thing we need to bring up is the MAP Sayid discovered in the Operations Manual. Seems to lead them straight to the "BARRACKS" which could be and probably is OTHERSVILLE. Sayid made a risky decision keeping Mikhail alive, but he probably will end up being useful if not to them....then to us getting more information! I'm sure I missed tons of stuff. Feel free to add anything you've discovered. This is strongly encouraged! 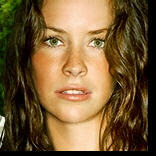 As mentioned previously, I said I would discuss Claire. 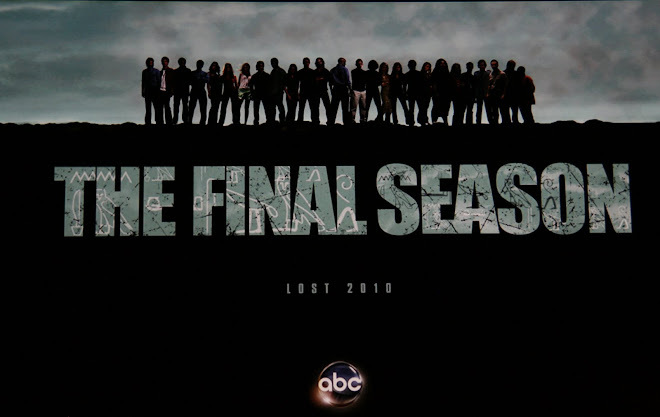 We got another ABC promo where we're going to get find out about a "SHOCKING LINK" between 2 survivors. Well, if it's what we all think it is, then it won't be much of a shock. But I do like the potential of Jack and Claire being half-brothers/sisters. If you recall, we saw Jack's Dad(Christian) in Sydney with Ana Lucia talking to a woman that looked eerily like an older version of Claire. Christian is heard saying that he wants to see his daughter. My guess is that in a Claire flashback next week, we will see this woman again, and it will end up being Claire's mother. May seem obvious, which would lead us to think it's something else. But who else on the island do we know that is actually an Australian Native? Exactly! Well, another fantastic episode of LOST in the books. Hope everyone enjoyed the episode and the blog. 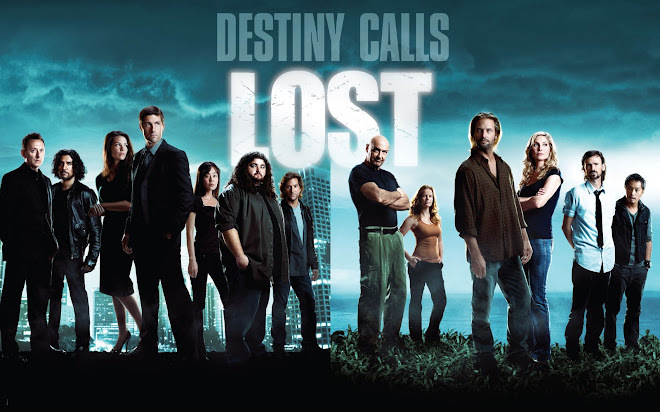 And I hope all of the naysayers are back on board realizing the awesomeness that can only be summed up as LOST. Another exciting personal event. This episode marks possibly the last episode of LOST that I will have to watch in standard definition! Yes, I am joining the HDTV club! The saddest part of this exciting event is that my TiVo will not record in High Definition...so I'm going to have to start referring to my recording device as a DVR. OH THE HORROR!!!! Seriously, who needs 2 TiVos and a DVR in the house? The good news? If there's ever a night where I have to record 5 things at one time, party at my house! Have a great day discussing LOST and I'll see you next week! This could be a dumb question, but do you think Rousseau was part of the Dharma intitiative? She came over on a submarine, and I think she said that "they" killed the people she was with. Maybe she was a survivor of the purge. And why didn't Mikail looked confused when she suddenly jumped out of the jungle when Sayed called her? Maybe he's seen her before? Interesting theory...I'm not sure I buy it though. Rousseau actually said SHE killed her crew. (I've been watching season 1 again) and I don't think she got there on a submarine. I thought she arrived on the BLACK ROCK. I'll let you know in a couple weeks after I watch the season 1 finale again lol. I don't think she was part of DHARMA, but you never know. But she may have been there when the purge happened...I think we're meant to believe she was....as she said that she stayed alive by avoiding entanglements. Here's an interesting thought/possible mistake. I just read that Sayid was working in PARIS as a chef. Rewatching season 1 is reaping benefits already. Remember the whole SHANNON/SAYID plot that started with him needing her help to translate French? And the way that she learned French was by living in Paris for a year or so? If Sayid was living in France how did he not pick up any French? Granted, this could easily be resolved by stating his stay there was short. but NO knowledge of French? I smell writing MISTAKE! "Typewritten note in Russian talks about Afghanistan. The first hand written note says: “My name is Andrei, too.” (Меня тоже зовут Андрей) The second note says: “I forgot so much about Afghanistan.” (Я забыл так много об Афганистане)"
"It’s kinda freaky. It’s about politics, Allah and Afghanistan. First underlined word is just a first name: Andrey. The part written beside the name says: “My name is also Andrey”. The second underlined word is “specialist” (can’t read the first part). The second handwritten part means: “I’ve forgotten so much about Afghanistan”. It’s hard to comprehend because there are no complete sentences so I can’t tell you about the details." I guess we should be taking the name Andrey/Andrei and Afghanistan from this little glimpse. "there was waste in his country, and for a long time he"
"not roundabout, until half socialist (masculine noun in nominative follows)"
"what (some kind of) kind of measure ?mepe? ottoknyl (don't know this past tense verb) andre"
"(something genetive) resistance, never the less he was excellent(ly)"
He was the ?third? brother of an influential..."
"(somone) controlled one from the north western..."
That is all I can get from the first page... I can't find my good russian dictionary. The next page talks about afganistahn , radicals, Nadjee, pakistan, russian language... I will translate more if somone better doesn't do it first. You guys rock with all of these translations! Thank you! BTW...some corrections on the blog (watched Enter 77 again last night). I think we can assume that they ARE breeding cows for meat, as I suggested before. There was a whole BUNCH of cows and a BULL (I think)...plus when Kate was looking around the station, we saw a freezer full of meat. And I think I was incorrect about Locke knowing about the C4. At no point had he looked under that carpet and went down into the basement. And he also Entered 38 to try and communicate with the mainland. He also seemed curious last week when Michael and Walt were able to leave the island. I'm not really sure what Locke's motives are now. Guess we'll see! This week on Lost: Ping Pong! 1980s Computer Chess! Cats! And don't miss The Three-Ring Binders! Yeah, this one was pretty good. But the less I see of Nikki and Paulo the better. Don't get me wrong, I can totally support new characters (Desmond, Ben, et al), but these two new ones are just too cookie-cutter for me, and the acting...meh. The ping pong story provided a few laughs, but you hit the nail on the head Mike when you said Sayid's flashback didn't add any dimension to the character. We all understand Sayid's history, so hitting us over the head with it is not such a great thing for a great character. The Mikhail detour was a nice plotline and I'm kind of glad he didn't turn out to be Jacob. It irked me that Locke was so cavalier about pushing any numbers the computer told him to, but all's well that ends well. The big shame of the C4 explosion was that there was SO much that Dharma headquarters could have told the survivors. Once again, I look back fondly at these "lighter times" that were had at the camp. These bonding experiences really needed to happen to raise the emotional stakes of what happened afterwards. As far as this episode goes, very interesting for sure... past affairs between The Others and Dharma are still unclear to me... if Mikhail's story is true, about Purge, and The Others being there long before Dharma... what are the origins of huge magnet thing that threatened to destroy the world, is it natural phenomenon or something Dharma artificially build, if so, why? If it was natural phenomenon, The Others would know about it as they were there before? If it is something artificially build how did they (Dharma) manage to build it without The Others interfering? Also, why Dharma keeps with food drop offs if their projects (obviously) are "busted"? One has to conclude that Dharma people somehow mixed with The Others and they became "one", worked together or something like that? That theory also covers the part where Ben typed the numbers during hatch lockdown. He knew what would happen if someone doesn't push the button. I'm pretty sure The Others have video feed of the Hatch, and, in theory, if Flight 815 never crashed and Desmond died one day, The Others would have to keep pushing the button. But who are then the "Hostiles" Marvin Candle talks about? Obviously not The Others?! I can't say how accurate/not accurate you are with your theories, but you're certainly talking about the right stuff. Most of your questions will be answered through the context of the show. Some things may have not made the final cut but might possibly have been covered in a season 6 epilogue that I have since recapped and linked to on youtube (it's on the front page of the blog once you're through the series). Looks like you're taking this rewatch nice and slow. Not sure I'd have your discipline, but may as well make it last and digest the episodes a few at a time. The show works great both as a binge and as a think piece! Like I said, we have one episode per work day on the air, but I realized can't keep up with that tempo. I like to have at least two or three days to, like you said, digest the episode, have it all settled down, think about it for a bit... I perfectly liked original airing with 7 days between episodes.